WordPress is an appropriate name when it comes to picking a reliable platform in the web designing and development realm. The plenty of themes and plugins that it contains make it a lovable choice of developers. Above everything, WordPress theme development services introduce something refreshing every second day to add beauty to the list of features it embeds inside. 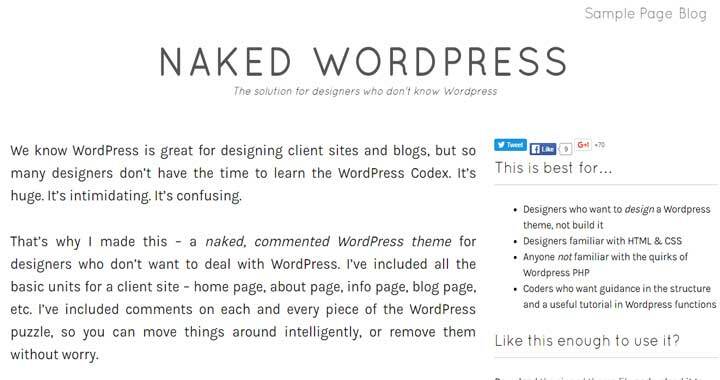 One of its common verticals is Blank WordPress themes, also called as ‘Naked’ or ‘Starter’ themes that allow easily create a customized theme. In a nutshell, Blank WordPress themes are the boilerplates that can act as a strong yet easy starting point to develop personalized web designs. These pre-built frameworks save the developer’s time as they don’t need to write one code again and again. These WordPress themes come packed with basic CSS, HTML and PHP WordPress code and theme files that are already stuffed to impart all the functionalities. WordPress theme development reduces the effort to start creating a website from scratch by providing a gateway or primary template to start designing. The best part is, all the required fields are kept in place during WordPress theme development services along with necessary styles and functions to give a powerful head start. Moreover, flawless markup codes are integrated so that developers need not to comprehend the base code work. Let’s list few of the names of popular Blank WordPress themes that are hitting the market. This naked WordPress theme is built on BootStrap 4 framework with a clean base that is quick to understand and amend. It renders an improved environment to produce a pretty theme equipped with necessary features and functionalities. 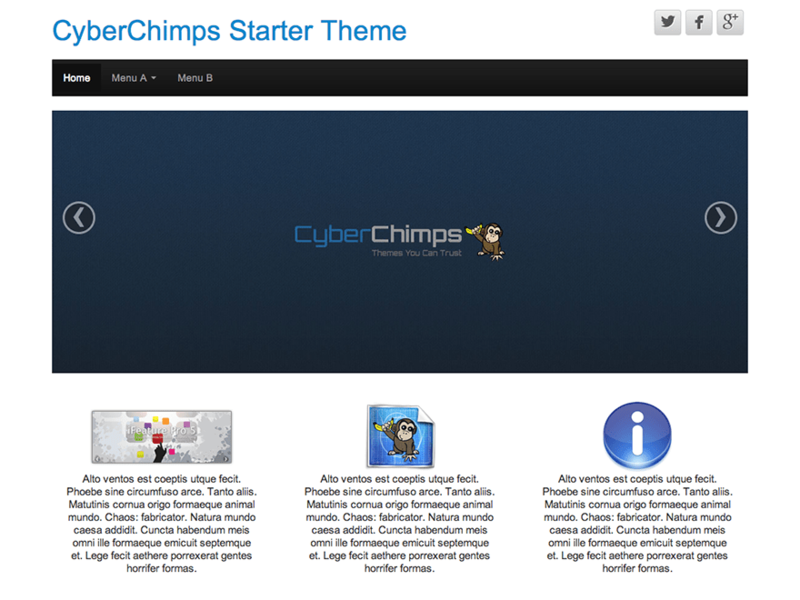 With CyberChimps, it is quite easy to create a beautiful theme. 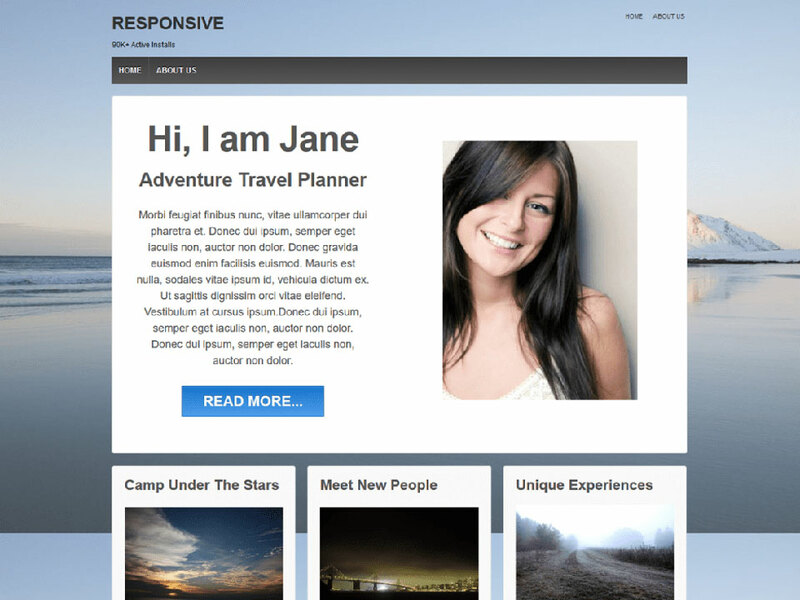 This theme is built on BootStrap and responsive in nature. It also contains a drag and drop option that can be customized with a touch screen. This Blank WordPress theme is commenced in-line so that one can grasp easily what is going on while creating a WordPress theme. It comes with a unique combo of WordPress tutorial and a starter theme. Full-fledged blog section with all essentials including tags, comments and categories. It is a simple and minimalist style boilerplate WordPress theme that is an intermediate performing name as compared to other niche themes. It means you do not need to start from scratch but the list of options you will get as a starter theme will be comparatively less. 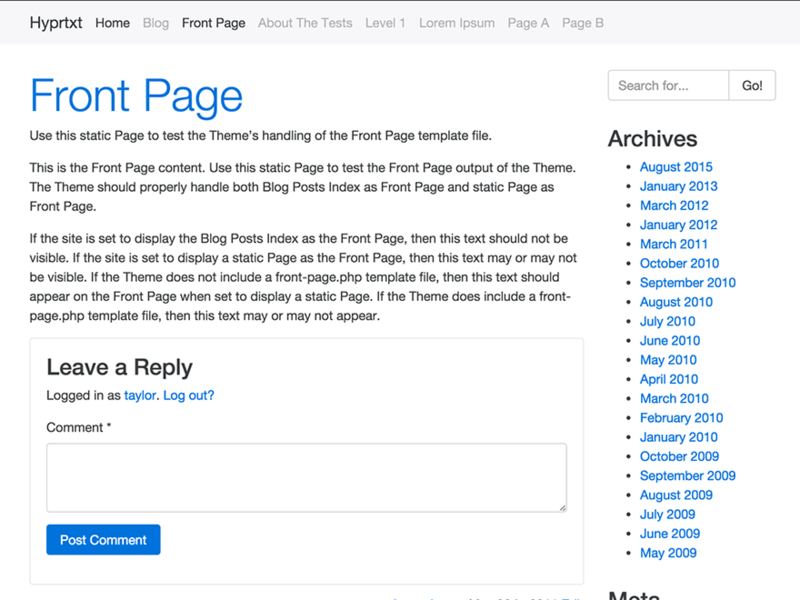 This WordPress starter theme is produced by creators of WordPress, Automattic. There are 5 layout templates but no inbuilt responsive layout is available. A handsome amount of well-commenced and ultra-modern HTML5 templates. This flexible foundation naked WordPress theme adapts a website to the mobile devices, desktop and similar viewing medium. There is a complete CMS control that allows wide social networking, plentiful webmaster tools and quick logo upload. Looking for a clean WordPress themes? We can recommend the Hot Blankie theme developed by our team. It’s a clean and responsive theme that you can use for development of any type of WordPress site. It’s not overcrowded with unneeded elements. Therefore your content will be in the main focus. Blank WordPress themes are the easiest way to do designing with a prebuilt template without much hassle. The list shared above is a sorted gist of some of the best names across the web. All of them have some striking traits that make creating a website an easy go. This post has been written by Williams Heilmann who is a professional WordPress developer at psdtowordpressexpert.com. He loves creating technical write-ups related to the ongoing trends of WordPress along with its latest themes and plugins.